The oldest Furnished residence in Tenby / A National Trust property , since 1937. 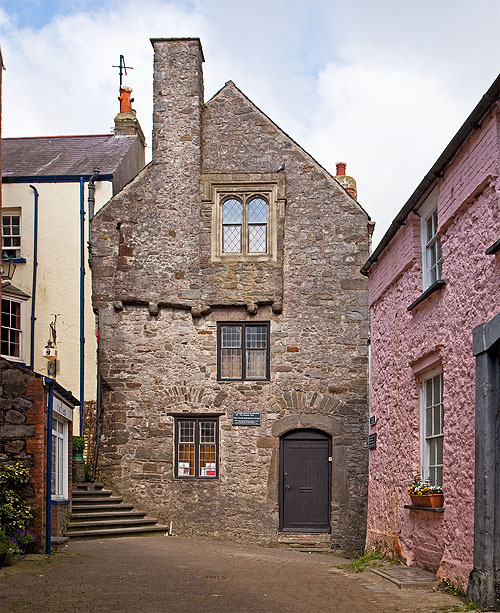 A restored 15th century Tudor Merchant's House, situated close to the harbour within the historic walled town of Tenby , the house is characteristic of the area at the time when Tenby was a thriving trading port, trading with the West Country, Spain and Portugal. The house belonged to a middle class merchant who lived in it with his family and servants and, at the same time, did trading in a ground floor room . The remains of 18th century frescos can be seen on three interior walls and the house is furnished to recreate family life from the Tudor period onwards. Outside there is a small herb garden. Quay Hill , off Crackwell St ( which overlooks the Harbour).